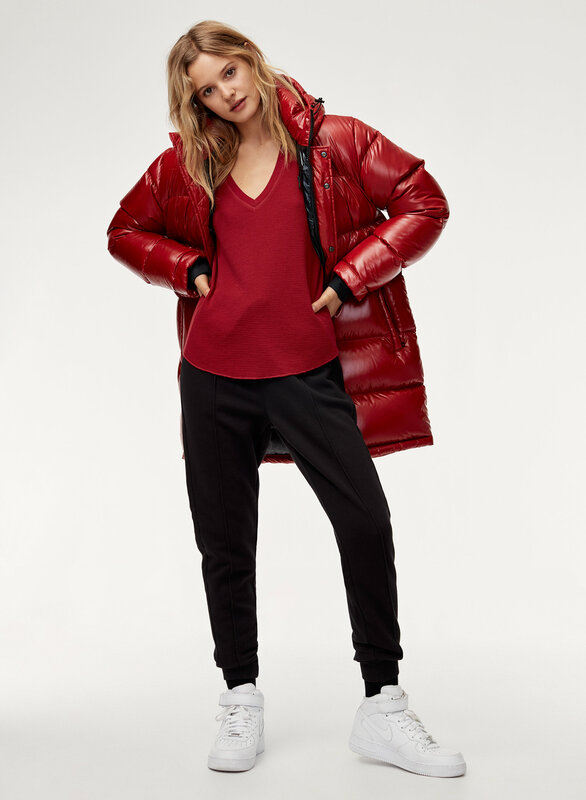 Styled with the super puff mid and the iconic jogger . Wondering what to wear for cancelling your plans? 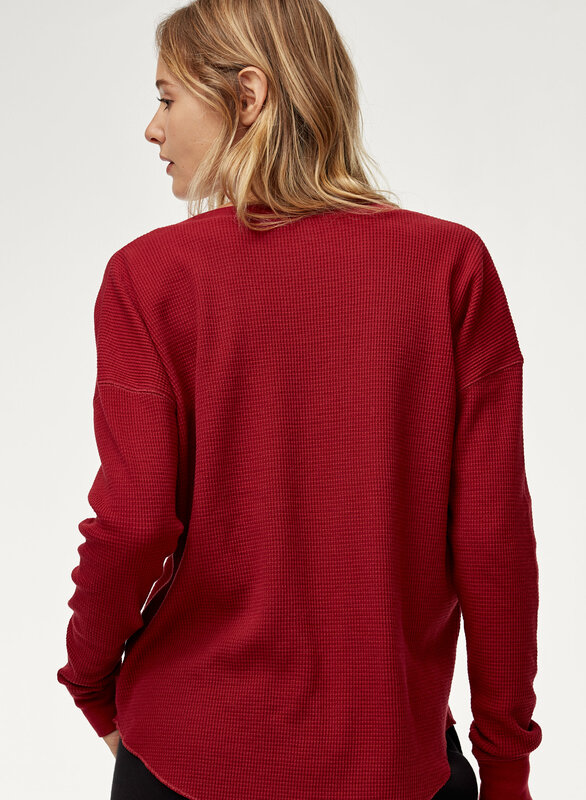 Look no further than this cozy thermal. It has made-for-chilling fabric and a relaxed body with a nice deep V-neck so you never feel over bundled. I love how it feels, it’s so soft ! It’s very good quality. So far this shirt is amazing. It looks super nice on and the colour is really nice. The TNA thermals are my favorite, another staple in my day to day wardrobe. Love the fit and colour. I love also really love how versatile it is. Nice, but i found it ran a bit short (maybe due to my large chest tho?). 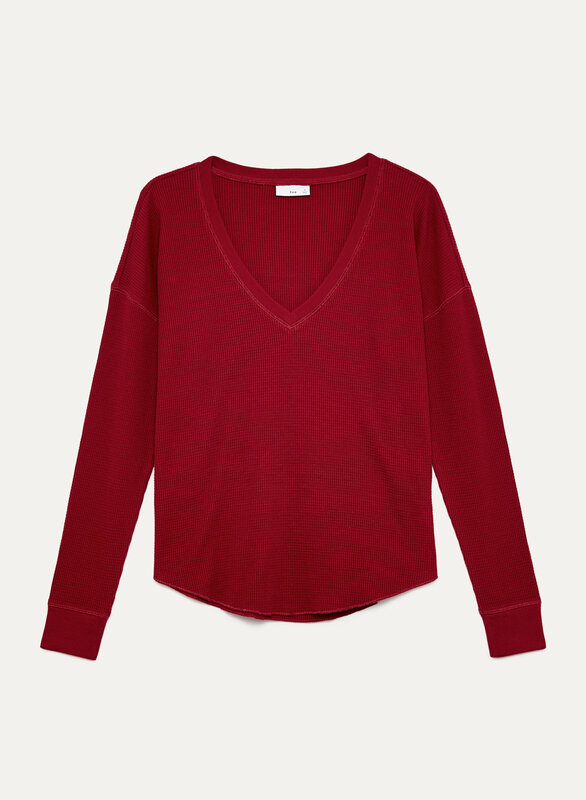 I’ve been waiting for a vneck thermal from aritzia! I have a few of the crew necks. This one isn’t quite as soft as the others, namely the alder. Fit is great and as expected. I’m between a medium and large and got medium. Could’ve gotten a large for a cuter oversized fit. Let’s be honest, I probably will in another color. If a fan of vneck thermal, this is good. If want a soft slubby T-shirt, maybe not. I can totally wear it with my leggings or with a nice pair of jeans. It's a bit loose fit, which I don't mind at all. i'm 5'1", 110lbs.